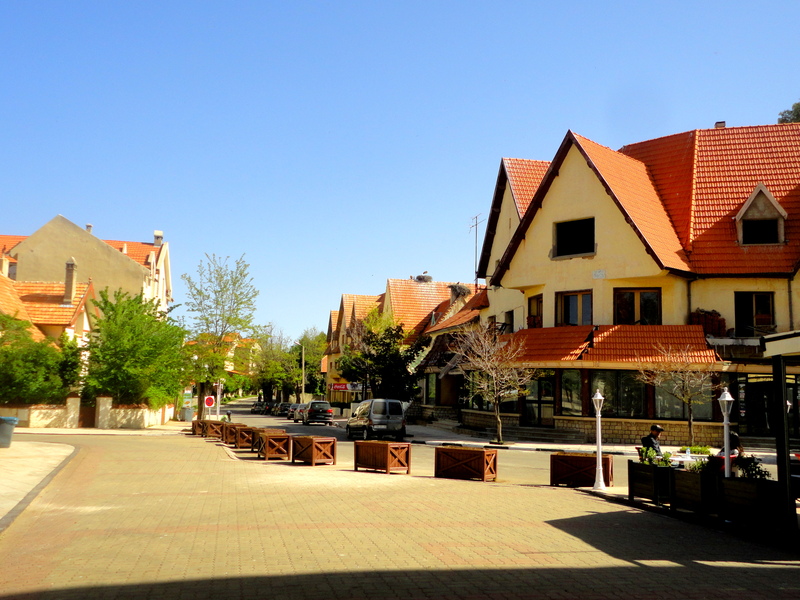 I had heard a lot about the town of Ifrane prior to arriving: that its architecture was characteristically un-Moroccan, that the area around it was a lot greener than the rest of the country, that it snowed in the winter, and that it was home to the prestigious Al-Akhawayn University. But as I stared out the window of the bus, none of that seemed possible. The landscape slowly floating by still looked the same as it did around Meknes and Fes: slightly arid, lots of farmland, but not a whole lot of trees or green. Then, all of a sudden, as if on cue, trees started popping up around us and our altitude began increasing. The trees started out small but gradually grew taller and soon enough we were driving through forest and into the mountains. 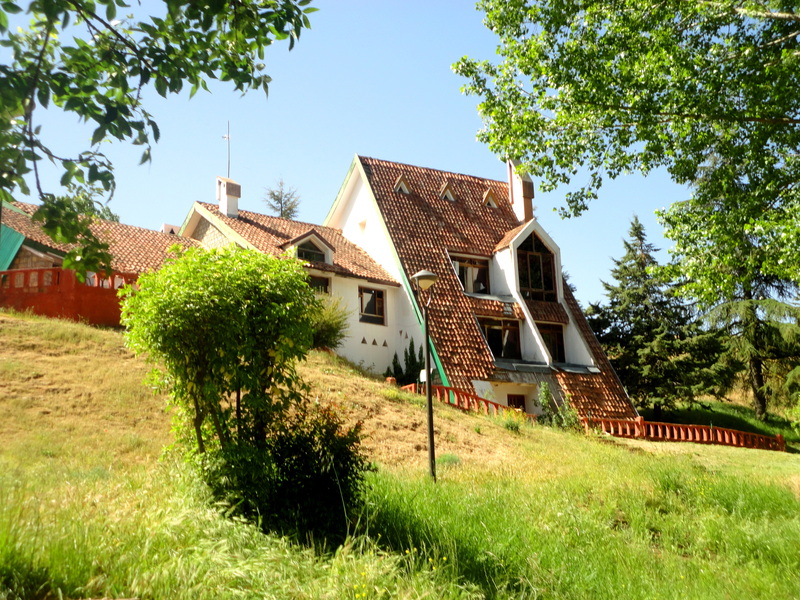 The view out the window changed to a sea of green, and the town of Ifrane appeared before us. The town was everything I had expected. A lack of palm trees, lots of green, a quiet atmosphere, the architecture of the houses with slanted orange roofs. There was even a serene park with a pond, which while walking through I was passed by two European tourists on bikes. This didn’t feel like Morocco, it felt like an alpine town in Europe. And in my mind I was continually asking myself the same question: Are we in Morocco or Switzerland? Reminders of the fact that we were still in North Africa appeared occasionally, such as the signs in Arabic and the one mosque in the center of town. But besides all of these little things, I easily could picture myself in Europe or even back home while wandering through the streets of this small town. 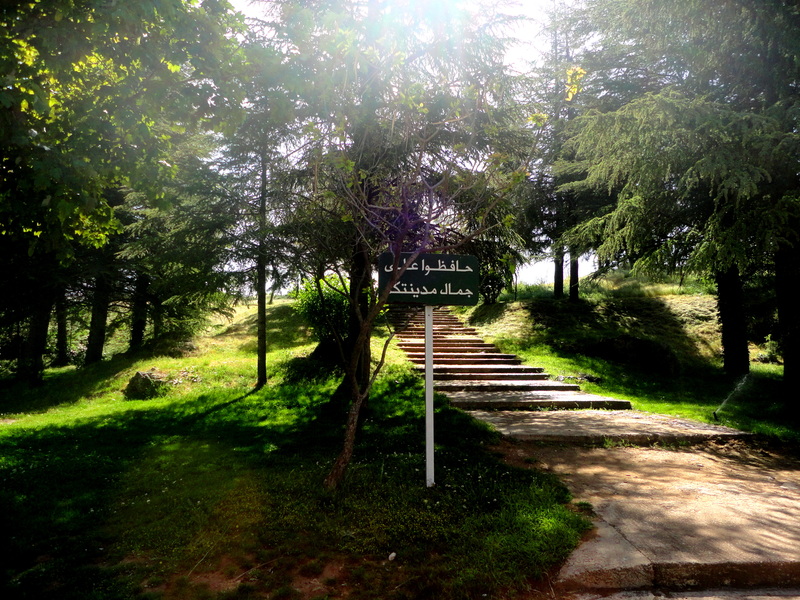 During this first visit of mine to Ifrane, I really loved it. The town was so beautiful, despite lacking the awesome Moroccan architecture, and it was so peaceful. It was a change of pace from the craziness, the dustiness, and the heat of other major cities and places in the country. 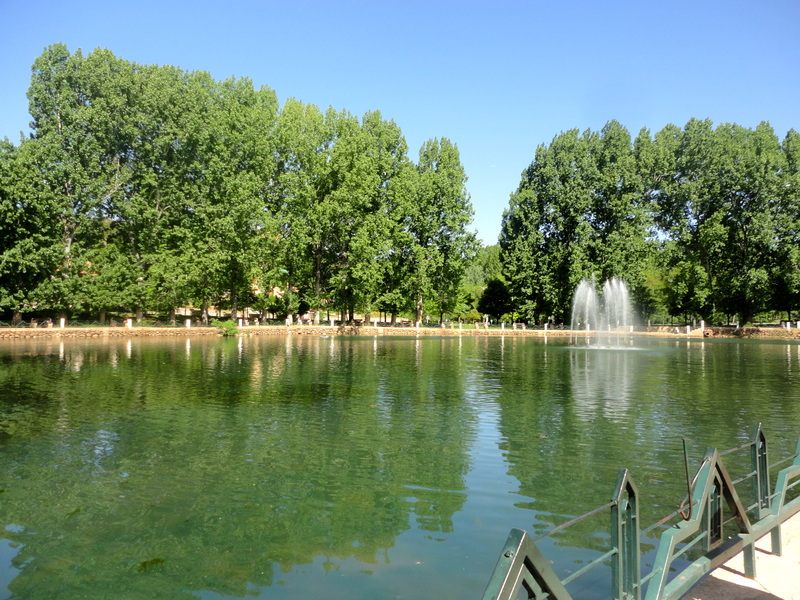 Ifrane was a breath of fresh air, literally. Then again, that first visit of mine had only been two weeks into my summer in Morocco, a time when I was still adjusting to everything. 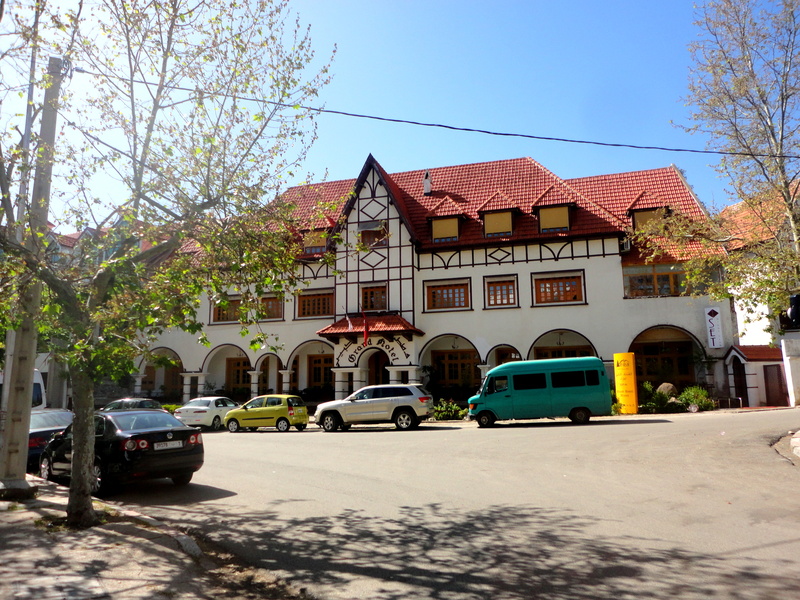 My second visit to Ifrane, I had a very different opinion. The second time was 6 weeks in, a time when I was now comfortably able to call Morocco home. I was road tripping back to Meknes from the Sahara town of Merzouga with two friends I had made while couchsurfing, a great end to my 10 days of solo traveling around southern Morocco. The South had been poorer and hotter, but I had fallen in love with its oases, with its remote villages and welcoming people, with the desert, the mountains, and the stars. The drive from Merzouga back to Meknes was so long, yet so beautiful, going all the way from the Sahara and through the mountains. We decided to stop in Ifrane for the night, to let the driver rest up (after having gotten little to no sleep in the desert the night before). One of my friends was working as a summer camp counselor, and I stayed with her in her Al-Akhawayn University dorm until the next morning. But something clicked in my mind during this stay in Ifrane. I remembered my fond opinions of the town I’d had during my first visit, but something changed this time around. We were all sitting in a cafe shortly after arriving, and I began to look around in dismay at my surroundings. Everything was so luxurious. The people seated at the fancy tables all looked much richer than the average Moroccan. The portrait of the king, which is displayed in most public spaces, was massive in this cafe and surrounded by a golden frame. The crystal chandelier above me completed the image and I frowned as I looked up at it. I hated this. Where was the real Morocco? Because this certainly wasn’t it. Long gone were the cafes of cheap plastic chairs and typical Arabian seat cushions. Everybody in this town was rich, nobody was ignoring traffic rules, and everything seemed to be more expensive. This didn’t feel like the rest of the country. In my 6 weeks I had come to love the chaos and excitement of the real Morocco, and now I missed it. I listened to the boom of thunder as the sky opened up to pouring rain that night, as I tried to fall asleep, and I felt like I was back in Alabama or New Hampshire on a summer night. I couldn’t wait to return to Meknes the next day, and get away from all of this unnecessary luxury and lack of what I now picture when I think of Morocco. I couldn’t help but wonder…is this what it’s going to feel like when I return home to the United States? I don’t want to find out yet. 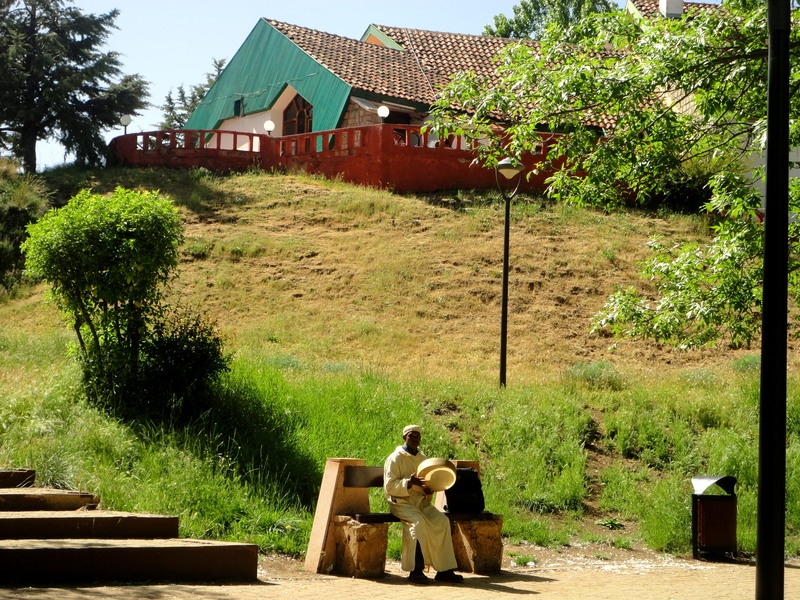 As I thought when I first arrived, Ifrane is indeed a calm and beautiful place, but if you’re looking to experience real Moroccan culture and life, you’re not going to find it here. This is incredible! I never heard of this place before. If you had tried to pass this off as Switzerland, I would have believed you, even with all the signs in Arabic. I would have believed it was an Arab immigrant community in Switzerland.